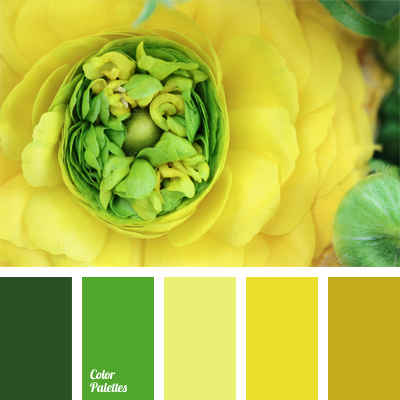 amber, bright green color, bright yellow, color of sun, color selection, color solution, dark green, green-yellow, light yellow, pale yellow, salad green, shades of yellow, spring color palette, yellow and green. 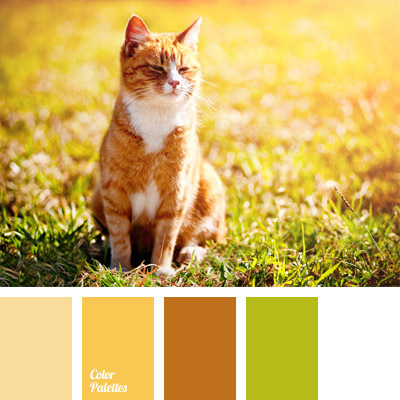 bright sunny colors, Brown Color Palettes, color of ginger cat, color of grass, color of meadow, color of sun, color of sunny day, color palettes for decoration, colors for decoration, designer’s palettes, ginger, ginger brown, Yellow Color Palettes. 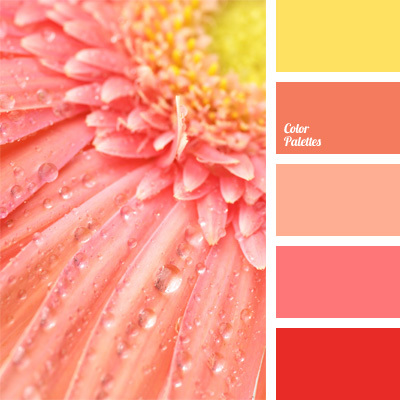 color carrot, color of pumpkin, color of sun, coral, coral and pink, monochrome color palette, orange and peach, Orange Color Palettes, Pink Color Palettes, pink monochrome color palette, salmon color, Yellow Color Palettes.